The Graphic Bag from the Home Comeplemets collection by Vitra is a cotton bag with a motif by Alexander Girard, which shows a snake. 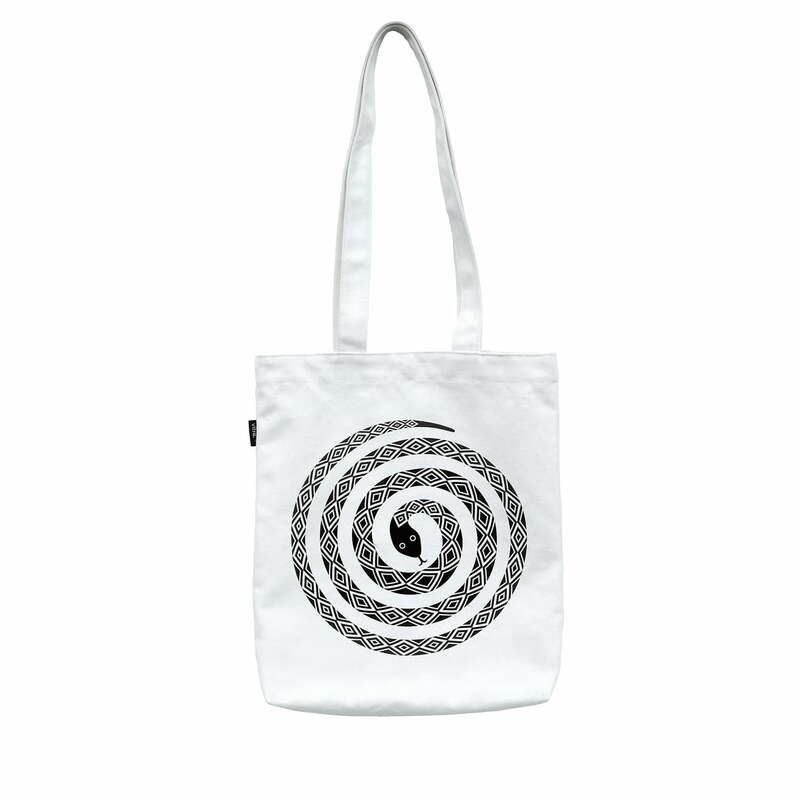 Made from 100% cotton and with long handles, its is an eco-friendly and practical alternative to the many plastic bags. Thanks to the sturdy cotton, the bag is perfect for shopping, to carry fruits, vegetables but also books and other things. This bag design is really cool. the Monochrome snake print is simple and stylish. This bag is particularly nice because it has 2 types of handles. The long handles for carrying on your shoulder as well as some short handles stitched on the inside of the top of the bag to hold by hand. Product view of the graphic bag with Snake motif from Alexander Girard for the label of Vitra. The motif Snake is a small snake, which forms a circle.